Jade Lun, 伍美玉, is a Michigan native that journeyed to Chicago after studying for her BFA in Advertising Art Direction at Columbia College Chicago. She is currently an Art Director for a public relations agency in the city. Jade enjoys giving back to her community; she is a mentor for students in the Multicultural Advertising Internship Program. Growing up, Jade was involved in competitive figure skating and dance; later in her life, she took her performance experience and applied it to comedy studies. She recently completed the Second City improv program and performs improvisation and sketch comedy all over chicago. 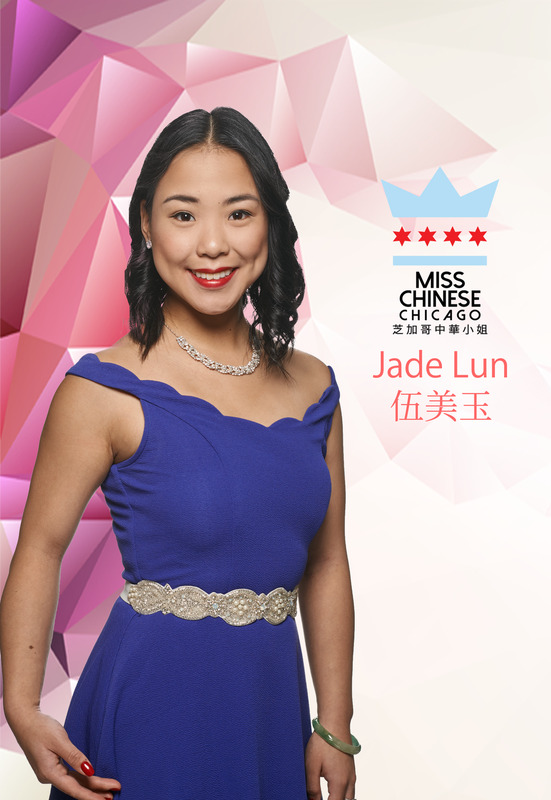 Jade is excited to be a part of this year’s Miss Chinese Chicago 2018.